Country Connection sources whole wine barrels from wineries in California and whole whiskey barrels from distilleries in Kentucky. The fact that we have facilities in both states allows us to save on shipping and pass that savings to our customers. All of our barrels are inspected and the barrel hoops are reinforced prior to converting them to half barrel planters to ensure the they stay on tight in all kinds of weather. Country Connections supplies retailers across the U.S. and Canada with both wine and whiskey barrel planters. Most of our customers order truckload quantity, but our minimum order is a single pallet which consists of 21 whiskey barrel planters or 24 wine barrel planters. Contact us today for an easy no obligation quote. Country Connection’s close proximity to California wineries allows us to source large numbers of wine barrels quickly and easily. 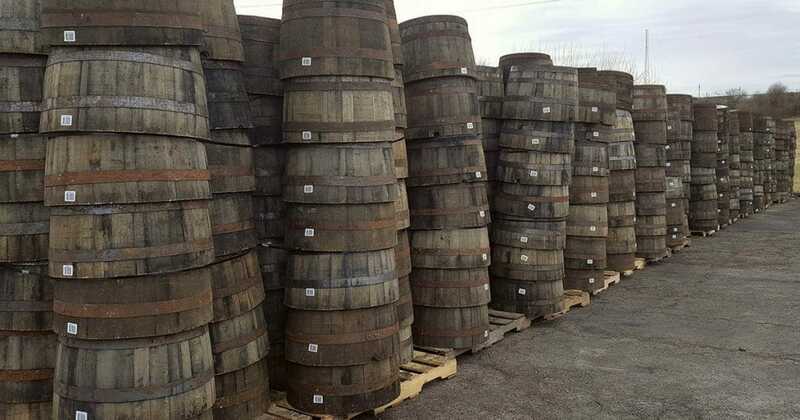 These barrels do not spend months sitting in a warehouse or some storage yard. They are freshly cut, inspected and reinforced within days of arriving at our facility and shipping to our customers, so they still smell of wine and freshly cut oak when they arrive. 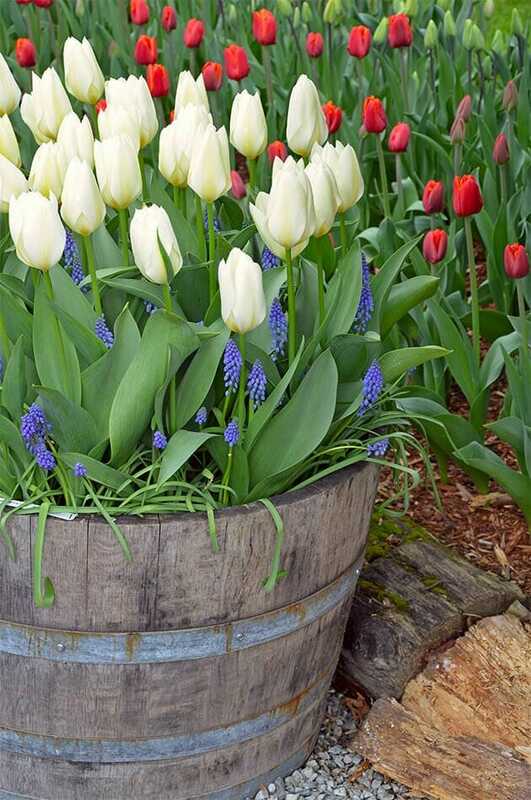 Due to our streamlined cutting process our barrel planters do not suffer from the wavy edges that our commonly found on other half barrel planters. Our wine barrel planters ship 24 to a pallet and 576 to a full truck load. Our minimum order quantity is one pallet. Contact us today with any questions or to get a quote. 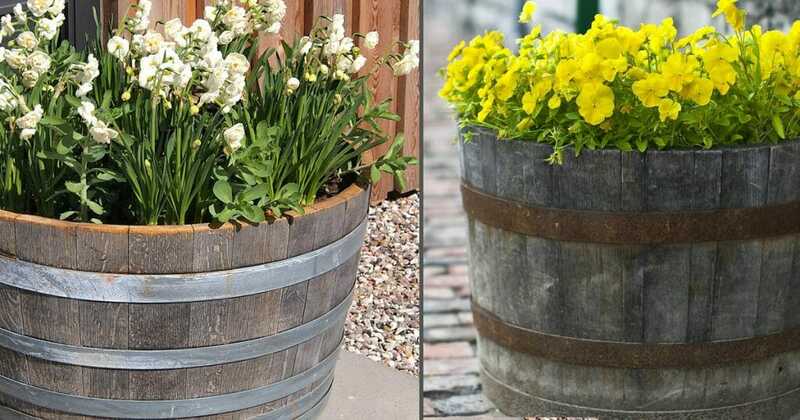 Our whiskey barrel planters are more rustic and worn looking than our wine barrel planters, and they have been growing in popularity across the U.S. and Canada. 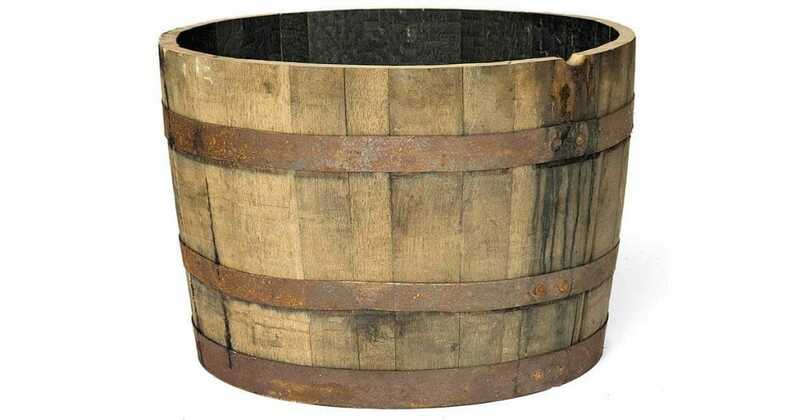 In spite of the rustic look of our whiskey half barrels they are durable and will last for years. We inspect every barrel prior to cutting and we reenforce the hoops to ensure our customers are receiving a high quality product. Our whiskey barrel planters ship 21 to a pallet and 504 to a full truck load. Our minimum order quantity is one pallet.